A lot of Bills fans made the trip to Green Bay for Sunday’s game against the Packers in legendary Lambeau Field. The game wasn’t much to see, but the atmosphere there always is. Sports humorist Jeff Wozer uncovered some fun facts about the land of the Cheeseheads. While most humans are 70% water, Packer head coach Mike McCarthy is 70% cheese curd. 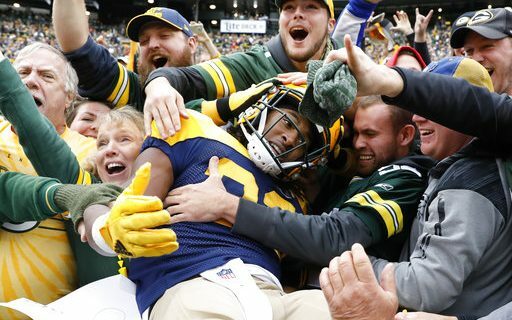 The Lambeau Leap will be one of five new events at the 2020 Summer Olympics. The ghost of Vince Lombardi often appears at midfield making out with the ghost of Marge Schott. Liquid soap dispensers in public restrooms dispense Cheese Whiz. Not even Sports Illustrated swimsuit model Kate Upton looks good in a Green Bay Packers throwback jersey. Lambeau Field’s medical cart rides on all-season cheese wheels. The Green Bay Packer’s sideline medical tent is made from recycled Kraft cheese slice plastic wrappers. Due to global warming experts predict by 2040 Packer fans will be called the Grilled Cheeseheads. Cheesehead hats are the only headwear sold in dairy sections.